Dr. Sushil Adhikari has been named as the Director for Center for Bioenergy and Bioproducts from September 1, 2017. Dr. Adhikari began academic work at Auburn University as an Assistant Professor of Biosystems Engineering in 2008, promoted to Associate Professor and tenured in 2013 and became full Professor in 2017. Dr. Adhikari earned his B.S. with Gold Medal in Mechanical Engineering from Tribhuvan University in Nepal, M.S. degree in Energy Technology from Asian Institute of Technology, Thailand and Ph.D. in Biological Engineering from Mississippi State University. He is a Registered Professional Engineer in Alabama. Dr. Adhikari has been devoted to discovery and education in Biosystems Engineering at Auburn University. His research and teaching efforts are focused on biofuels and bioenergy - namely gasification, pyrolysis, hydrothermal liquefaction and hydrogen production. Dr. Adhikari’s research has led to better understanding the role of biomass properties on syngas quality, and hydrocarbons production using biomass gasification, pyrolysis and liquefaction processes. As a faculty member in Auburn University, Dr. Adhikari has participated in more than $28 million in extramural research funding During this period, he has co-authored 90 peer-reviewed publications (>4500 Google citations), 21 conference proceedings, >101 conference abstracts and presentations, and 8 book chapters. Eight Ph.D. and nine M.S. students have completed their dissertations and theses, respectively under his supervision. Dr. Adhikari has actively involved undergraduate students in research activities including the mentoring of 19 Auburn undergraduate students in his laboratory. In the last seven years, he managed two undergraduate research programs that were funded through the National Science Foundation-Research Experience for Undergraduates (REU) program and the U.S. Department of Agriculture-Agriculture and Food Research Initiative (AFRI) program through Integrated Biomass Supply Systems (IBSS) project. A total of 61 students were trained from these two programs. His dedication and passion for undergraduate research has been recognized with 2017 AU Provost’s Award for Faculty Excellence in Undergraduate Research Mentoring. Dr. Adhikari served as Interim Head of Biosystems Engineering from July 2016 to April 2017. During his tenure as Interim Head, he successfully led the department through an ABET accreditation process that led to reaccreditation of the undergraduate program for another six years (the maximum). Dr. Adhikari has received New Holland Young Researcher Award from ASABE in 2013. He has been recognized from the Director of Alabama Agricultural Experiment Station (AAES) with the Director’s Research Award for junior faculty in 2011 and College of Agriculture Dean’s Grantsmanship award for five consecutive years (2011, 2012, 2013, 2014, and 2015). In 2015, College of Agriculture selected him for the Dean’s Advising Excellence award. Also, he was the member of the team that received Auburn University President’s Outstanding Collaborative Units award in 2012. In his role as Director of the Center for Bioenergy and Bioproducts, Dr. Adhikari is expected to work with faculty in colleges and schools across campus to facilitate and support interdisciplinary research, outreach and teaching collaborations in alternative fuels and bioproducts. For complete information about Dr. Adhikari, you can check out his CV. 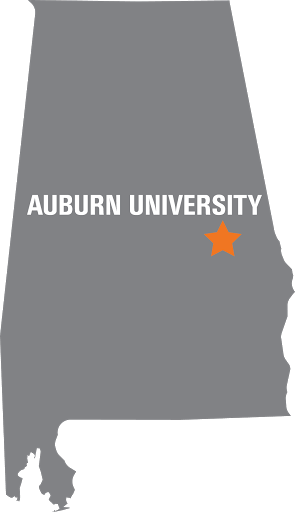 Please feel free to contact Dr. Adhikari at sushil.adhikari@auburn.edu or (334) 844-3543 to discuss research opportunities related to bioenergy and bioproducts.